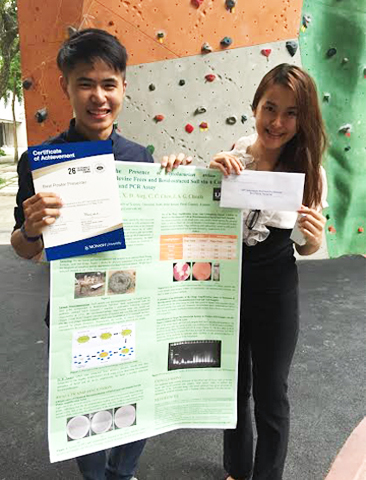 UTAR students Ooi Eu Hock and Lai Hey Yue clinched the Best Poster Award in the 26th Intervarsity Biochemistry Seminar (IBS) held at Monash University Malaysia on 16 May 2015. Ooi and Lai are third-year Bachelor of Science (Hons) Biotechnology students from the Faculty of Science. They won the Best Poster Award for their research titled ‘Screening for the presence of Mycobacterium paratuberculosis in bovine faeces and bovid-contacted soil via a combined phage amplification and Polymerase Chain Reaction (PCR) assay.’ They received a certificate of achievement and a Starbucks gift card each. Their research aimed to address Johne’s disease, a chronic intestinal disease among ruminants caused by Mycobacterium avium subspecies Paratuberculosis (MAP) by developing and evaluating a combined phage and PCR assay for detection of MAP in bovine faeces and bovid-contacted soil samples. The samples are important vehicles for MAP transmission in the environment. Themed ‘Emerging Frontiers in Biochemistry and Life Sciences: Progress for a Better Tomorrow’, the 26th IBS was jointly organised by Monash University Malaysia and Malaysian Society for Biochemistry and Molecular Biology. 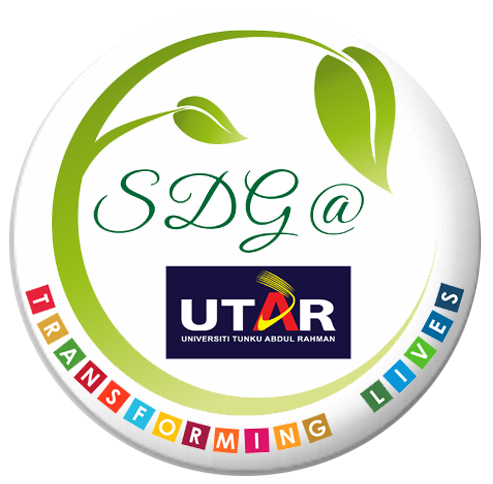 It was held to provide an opportunity for undergraduate students from both public and private universities to share their final year project research findings and to exchange ideas and experience in the fields of Biochemistry, Molecular Biology, Biotechnology and Bioinformatics. It also served as a platform for the students to network among themselves and to gain exposure to research advances in the bioscience fields among Malaysian universities.